Since 1983, CTJ Construction Company has been a respected commercial construction company currently based in Lawrenceville, Georgia. We are a full service, unrestricted licensed general contractor, providing general contracting services, construction management, design build, and value engineering to our customers. The commitment and special talents of our Leadership Team help make CTJ Construction the amazing company that it is. Beginning in 1964, Mr. Jackson honed his skills at several Atlanta architectural firms and construction companies before becoming one of the founding members of CTJ Construction Company in 1983. He has helped CTJ grow and prosper, specializing in ground-up projects and off-site airport covered parking. After moving to Atlanta from Lyons, Georgia, Mr. Thompson met and worked with Allen Jackson at Trammel Crow Construction Company of Atlanta for several years before deciding to venture into business for themselves as CTJ Construction Company in 1983. Since that time, Mr.Thompson has helped CTJ build its client base and its well-respected reputation, specializing in ground-up projects, as well as interior build-outs and retro-fits. Growing up with CTJ Construction Company, working on projects after-school and during summer breaks, Patton has worked his way from sweeping floors, to supervising jobs, to scheduling jobs, to managing projects from beginning to completion. His dedication to clients and his attention to detail has opened the doors to many new business opportunities for CTJ. He specializes in interior build-outs and retro-fits. 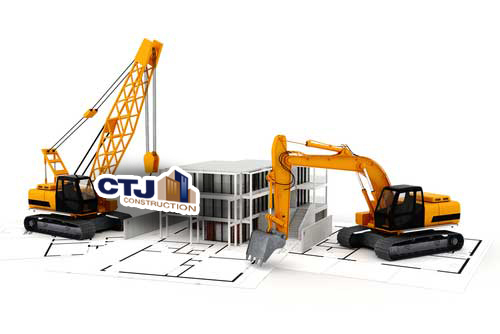 Contact us today to speak with our experts on how CTJ can help with your commercial or retail building project.